Everything on a superyacht has been meticulously designed – from the layout of the galley to the clips that hold ceiling panels in place. Design concerns the entire industry and those involved in this process have vital insights into the current trends in the market. For this reason (and following on from the hugely successful issue last year), The Superyacht Group decided that it was imperative to dedicate an entire issue to design, which is now available to download. For this issue, managing editor Rachel Rowney commandeers our regular industrialist feature and sits down with a number of female designers to discuss their experiences in the superyacht market, in her very own ‘Rown’ Table discussion. 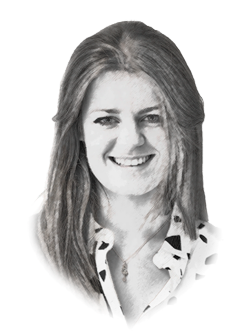 “There are more opportunities on a mass level,” explains Daria Cabai, naval architect and founder of Navalmartin, when discussing women in design. “There are incentives where there have to be a certain [number] of women on the board in some places, equal pay, and salaries are being revealed.” Here, Cabai is joined by Fiona Diamond, founder of Seymour Diamond; Selina McCabe, partner at Winch Design, and Lay Koon Tan, co-founder of Nature Squared. The lack of understanding of design contracts means that many designers are playing with fire during the process, but this fascinating discussion outlines how designers can avoid getting their fingers burnt though the careful compilation of a good design contract. Brokerage editor, Felix Sowerbutts dissects who (and indeed what) leading designers have been creating over the last ten years. Here, the fleet analysis uncovers which studios have created the lion’s share of recent projects and highlights what we can expect from the design community in 2019. Finally, I take a journey down to the south coast to decipher how clients can fully get to grips with an owner’s requests. Mark Gardner, head of exterior design at RWD, and Jack Canning, the company’s head of interior design explain how they get into the clients’ mindset to produce exactly what they want to create. I’m very excited to say that in this issue we have officially announced the theme for The Superyacht Design Forum, which will be returning to Design Centre, Chelsea Harbour in 2019. To find out more and reserve your place click here. 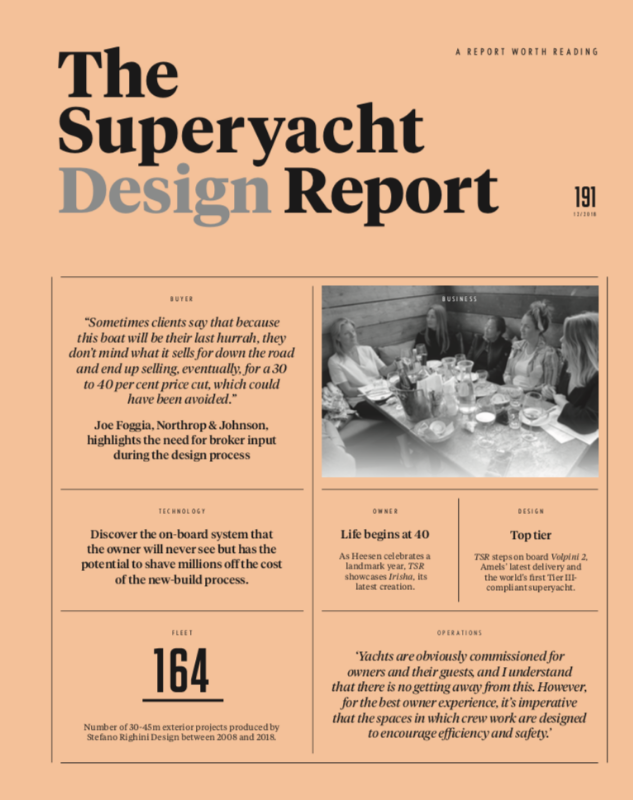 You can read a copy of The Superyacht Design Report as a subscriber or by buying a single copy. Click to subscribe, or if you would like to purchase this single issue, click here. It is 'A Report Worth Paying For'.